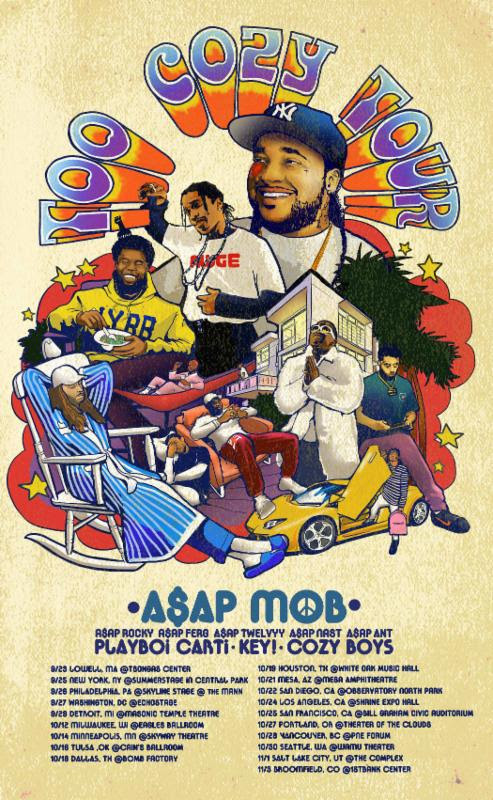 Harlem's A$AP Mob announced on their website today that they're embarking on a new tour this fall. Following the release of 2016's Cozy Tapes Vol 1 and their latest single alongside Frank Ocean, "RAF," released in May 2017, A$AP Rocky, A$AP Ferg, A$AP Twelvyyy, A$AP Nast and A$AP Ant are linking up together to head out on 20 tour dates throughout North America. Starting in Lowell, Massachussetts, the hip hop crew will bring along special guests Playboi Carti and Key!. Check out details on the dates below and head here for ticket information.